No matter what your coffee style, My Keto Hub is the place to get your coffee. Our barista extraordinaire, Bart, is as iconic as Wickham House itself! Spanning almost a decade of service here, he has perfected the art of coffee making and is loved by his dedicated following of loyal customers. We source the best quality coffee from our friends at The Coffee Roaster in West End. 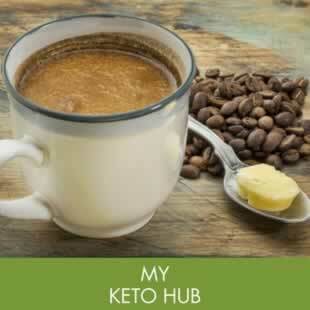 Short Keto: The original version: Rich, freshly extracted coffee, 20g My KetoBlend, emulsified to serve as 6oz. Keto Latte: Rich freshly extracted coffee, 20g My KetoBlend, full cream milk, emulsified to serve. Pesto Bone Broth: Broth from grass fed beef, basil pesto & My KetoBlend, emulsified to serve. Keto Hot Chocolate Latte: Milled Cocoa, Roasted Hazelnuts, vanilla beans and MCT oil, 20g My KetoBlend, full cream milk, emulsified to serve. *KetoFuels contains no added sugar or artificial sweeters.